Assuming that I’m not alone in my attempt at balancing a manic end of year schedule, I’d like to offer temporary respite by way of this Chicken and leek casserole. With a creamy white wine and mushroom sauce, this Mid-week supper is simple to make and a huge crowd-pleaser. In our family, pan-mopping is an indication of very good food. A crusty loaf would come in very handy here. It’s a homely dish that comforts and restores calm. 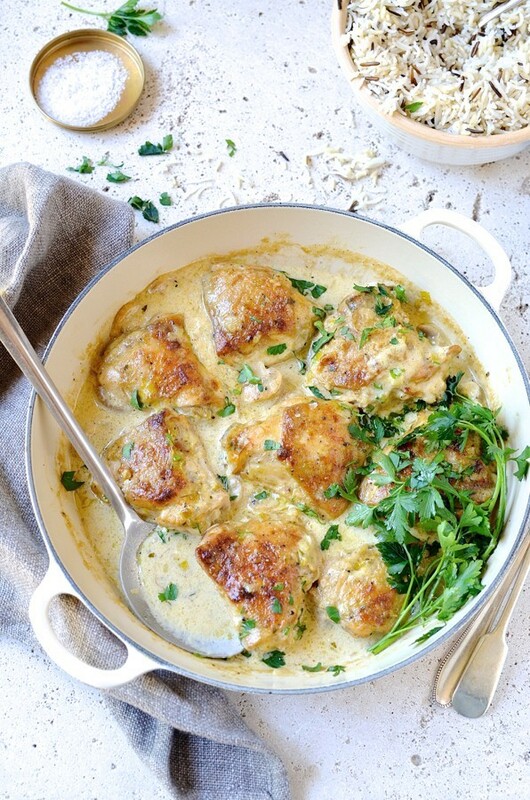 What I really love about this creamy chicken and leek casserole is the simplicity of ingredients. Nothing wild or exotic on the list that requires a food garmin to track down. 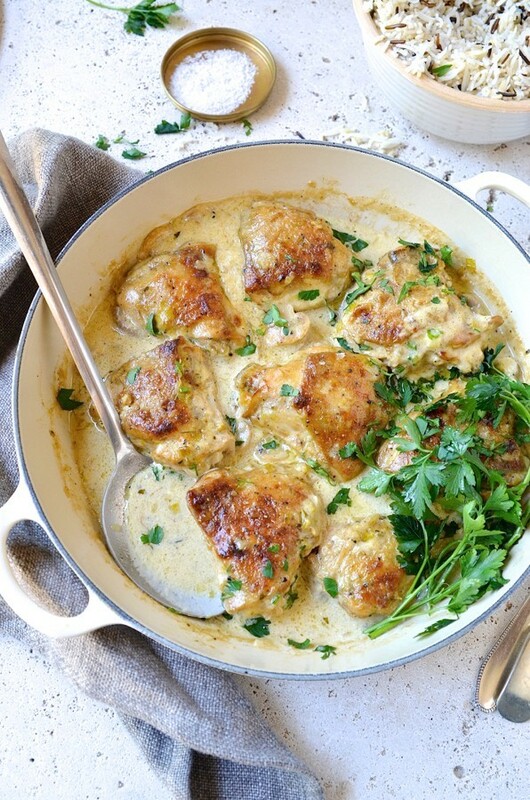 Just a couple of the usual suspects that can easily find their way into your shopping trolley – Chicken thighs, leeks, mushrooms, a bottle of white, cream and parsley. Friends forever! Another easy stove-top chicken supper that’s a complete doddle to make but with bags of flavour is this Sun-dried tomato chicken. A quick word about the chicken. I use skin-on, bone-in chicken thighs. Brown meat is so much more flavoursome than white, but feel free to use whichever you prefer. Remember though, reduce the cooking time by at least 10-15 minutes if using the fillets. Leeks and shallots impart a subtle sweetness to the sauce and are pair well with mushrooms and chicken. For a herby freshness, finish with heaps of flat leaf parsley. I like to serve this casserole with steamed green beans, tender-stem broccoli and some wild rice. Roast butternut and sweet potatoes are also a favourite. Hearty and so comforting. Very comforting, completely delicious and so quick Habi! Sort of a scandal how simple and delicious this one is Gill! Super yummy, thanks for sharing ! Thanks for stopping by! Hope it’ll be become a regular at the dinner table. How many cups of chopped leek should I end up with? The leeks locally are almost the size of my forearm! Thx. Hi Ilaine. Yip, that would be mighty big! I used the smaller, French-style leeks, so about a cup to a cup and half would be perfect. This casserole is hands-down one of our supper favourites. Enjoy! Thanks for stoping by. This sounds so tasty, i can’t wait to try it tomorrow! It definitely is Victoria. Pure creamy comfort that’ll have them mopping up the pan. Have a delicious weekend! Hi Rachel. 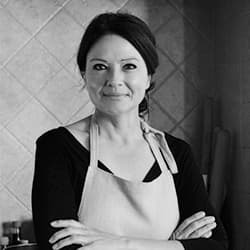 I prefer to use whipping cream, although creme fraiche would would also work. Enjoy! When you say put it on the grill, are you talking on briolette on the oven? Hello George. I place the casserole under the grill in the oven, as we call it here in South Africa. I think it may be referred to as the broiler in the US? This step is optional and only if you prefer a crispy skin on the chicken. Sure Nancy. It reheats well but is not suitable for freezing because of the cream. 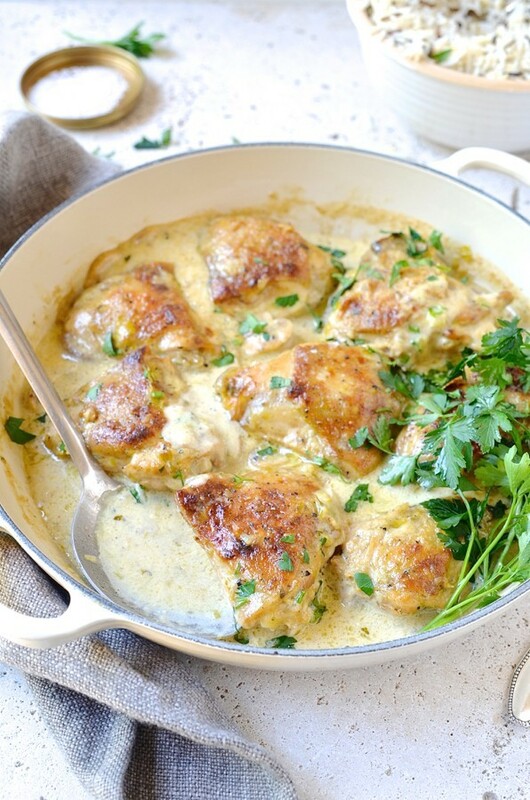 This chicken dish is so yummy , it is now on our weekly menu. Glad to hear that. It’s one of those easy to make dishes that the whole family just loves. Hello! We made this for dinner tonight and it was wonderful! Served it with crusty French bread and a salad. I substituted 1% milk for the cream and it was perfect! 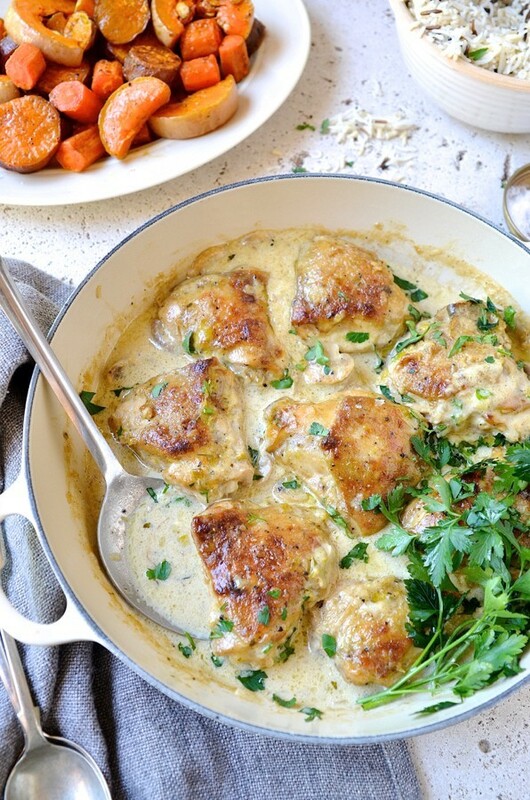 This chicken recipe never fails to impress. I think the French bread is perfect for mopping up the all the creamy sauce. Thanks for popping in to let us know your clever tweak of the recipe Brooke. Sure Emma. Instead of the wine, just add a little more weak chicken stock or water. Very quick and easy to prep. It was really delicious, however I won’t use any parsley next time as I found it too strong tasting. Glad you enjoyed the casserole. The herbs are always optional and fortunately, as it’s a last addition, is easily left out. Thanks for stopping in. My cream curdled, I think because of the acid in the lemon zest. Does this happen to you? Hi there. The zest won’t cause it to curdle. When testing the recipe, I tried it with a low fat cream and then it curdled slightly. Using a cream with insufficient fat content will cause the problem. Hope that helps.